Chainsaw Training with Phil Dunford : Why Do I need Training? 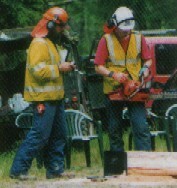 Used correctly, chainsaws and allied cutting equipment are very versatile tools with a variety of uses. But they are also potentially very dangerous. Serious accidents can and do occur without proper training, or because operators have not kept their skills up to scratch. The Provision and Use of Work Equipment Regulations 1998 (PUWER) require employers to provide adequate training and to ensure that chainsaws and related equipment are operated by employees who have received appropriate training in their safe use. 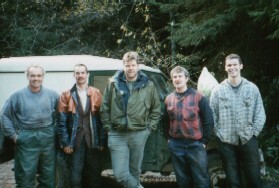 Anyone working in or on trees is expected to hold a recognised certificate of competence. If you are self employed the regulations still apply. Do these guys need training? LANTRA awards has many years experience of developing training courses to the highest standards. Courses are delivered exclusively through a network of approved registered training providers and instructors. You can be sure you will be trained by people who are properly qualified and experienced. Training is done in small groups so that you receive plenty of individual attention supplemented by course materials which reflect current safe working practices.